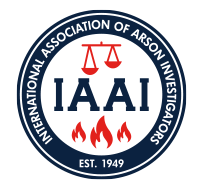 The International Association of Arson Investigators, Inc. (IAAI) and the IAAI Foundation, Inc. treats confidential information received from its membership with respect and concern. We maintain physical, electronic, or procedural safeguards to protect the information. During the course of business, it is necessary to disclose routine information relating, for example, to membership status, IAAI-CFI status, committee participation, and address verification. However, the IAAI maintains the confidentiality of information such as social security numbers, government issued identification numbers, banking data and credit card numbers- the exception to which would be in response to a subpoena or court order.